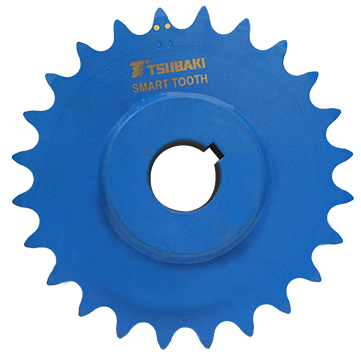 How Can Smart Tooth Sprockets Maximize Chain Life? Smart Tooth sprockets utilize patented Wear Indicator technology that serves as a visual indicator signifying when a sprocket has worn past its usable life. 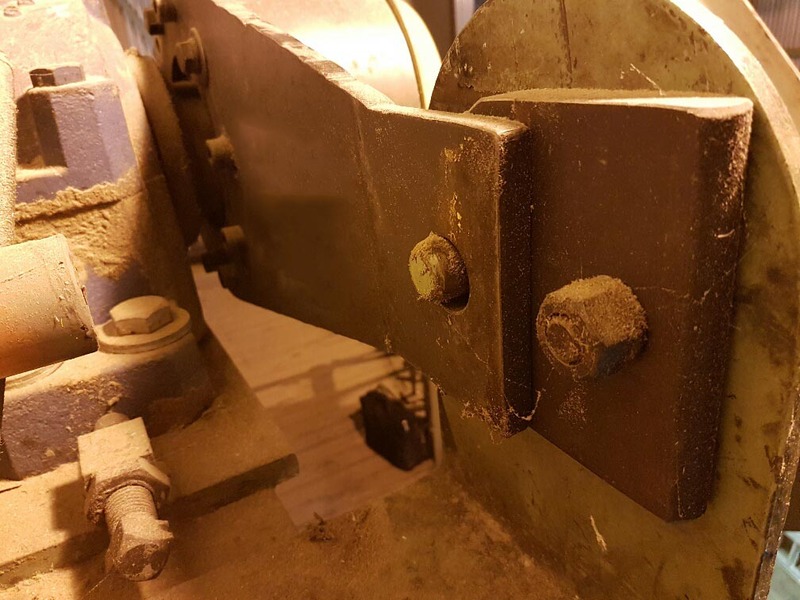 Wear indicator pins are strategically inserted into the thrust faces of the sprocket tooth where the resultant pressure angle of the chain roller creates wear. Eventually as the tooth profile regresses over time in service, the wear indicator pin becomes exposed visually identifying that it is time to for the sprocket to be replaced. Proper chain and sprocket engagement is vital to maximize the life of your chain. When chains and sprockets articulate correctly, the life of the chain is extended. The bottom line is long term savings and real value for any application. Sprockets have several points of high-friction contact with a roller chain, which is important to efficient rotation, but also wears the sprocket and roller chain quickly. Once a sprocket has worn past its usable life, poor fit, alignment and chain wrap will occur resulting in loss of tension, jumped chain, drive slipping and catastrophic failure. Ultimately by using worn sprockets chain wear accelerates at an exponential rate causing the life of the chain to be reduced by up to 50%. Knowing when to replace your sprocket will help maximize chain life and performance. 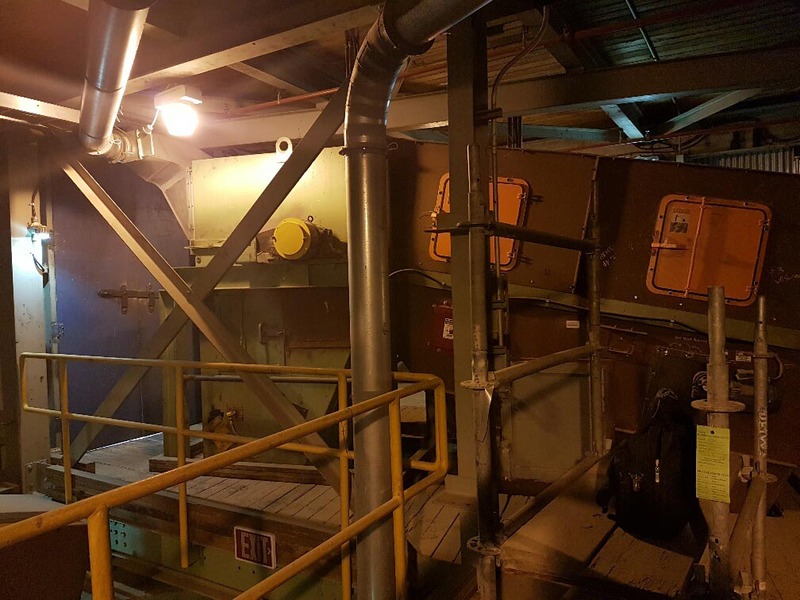 A pulp mill in Western Canada needed replacement of their cam clutch installed on their incline chip conveyor. The back-stop is a BS135 finished by 4-15/16” and has been in operation for 5 to 7 years. As a safety device the customer decided it was time to replace it to avoid issues associated with any catastrophic event. Proper maintenance and eventual replacement of backstops is necessary as they are a critical safety device. If backstops fail to engage as designed, it can result in roll back that may cause significant cleanup, damage to system and surrounding area and most concerning serious injury or death. For these reasons all safety devices should be properly inspected and maintained. The original supplier quoted 20+ days delivery out of the USA as well as a high price. Tsubaki quoted a 5-day delivery for the clutch supplied with a torque arm at a significant price advantage. Tsubaki stocks most back-stop components on the shelf in Mississauga, Ontario offering customers short lead times at a competitive price. Tsubaki Result: Tsubaki was able to deliver on time for the customers shutdown schedule and provided the customer an upfront significant cost savings! • Make sure that the chain is properly sized for the application. Properly sized, installed, and maintained chains should provide 15,000 operating hours before elongation limit is reached. When a chain reaches its elongation limit the roller will start to “crawl” up the working face of the sprocket tooth. This will lead to tooth jumping and ultimately chain failure. The importance of proper lubrication cannot be understated. However, if operating in an application where lubrication is not desired or possible consider using Tsubaki Lambda™ self-lubricating chain. Lambda™ employs a patented oil-impregnated sintered metal bushings to ensure that the pin-bushing bearing area is constantly lubricated. 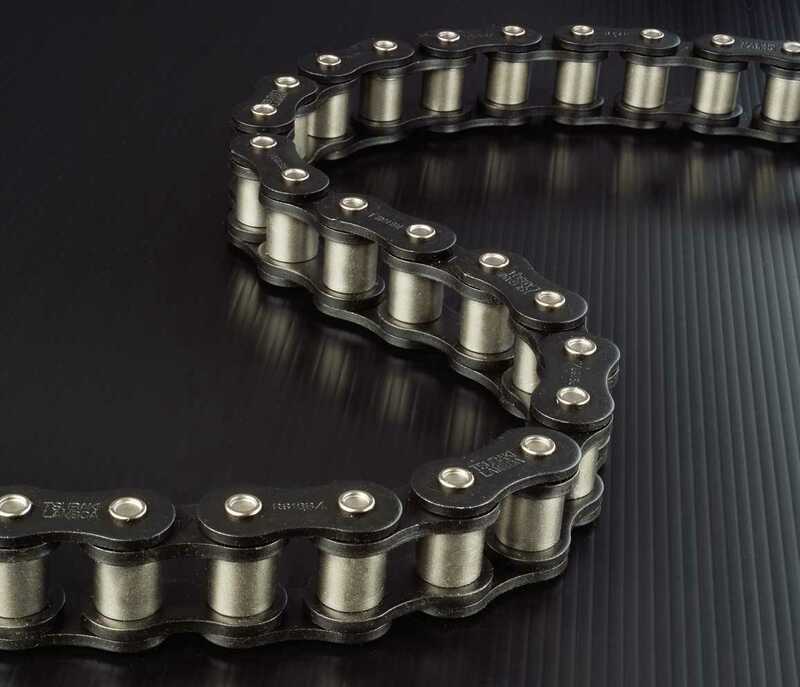 Lambda™ will provide 7-14 times the life when compared to a standard non-lubricated chain. Tsubaki News: More Innovation from Tsubaki! Tsubaki News: BLUE THUNDER IS COMING!